This self-post was originally posted to /r/SuicideWatch. See more things from Dan's Reddit account. I don’t know what to do anymore. I’ve exhausted any little hope I’d had, and now there’s nothing. I just want it to be over. By any means necessary. I sent a letter to Google, today. Click to see it in large-o-vision. 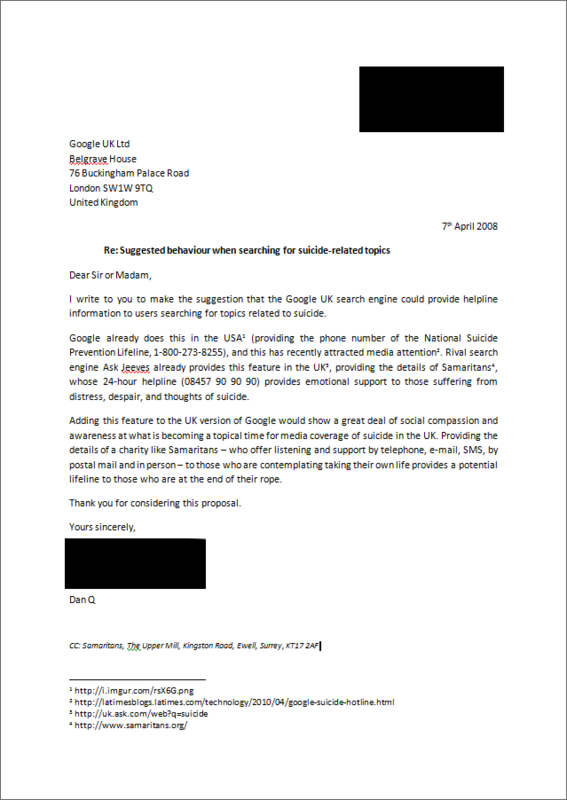 I my letter, I suggest that the search giant should add a feature to their UK search, as they already have to their USA search, that would provide the details of an appropriate emotional support helpline service to people searching for suicide-related topics (such as “how to commit suicide”, etc.). 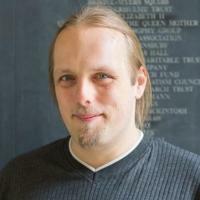 This would provide minimal disruption to users merely interested in the topic, but could potentially provide a critical lifeline to somebody in dire need. Update: Google have now made the change I suggested! Read more about it here.